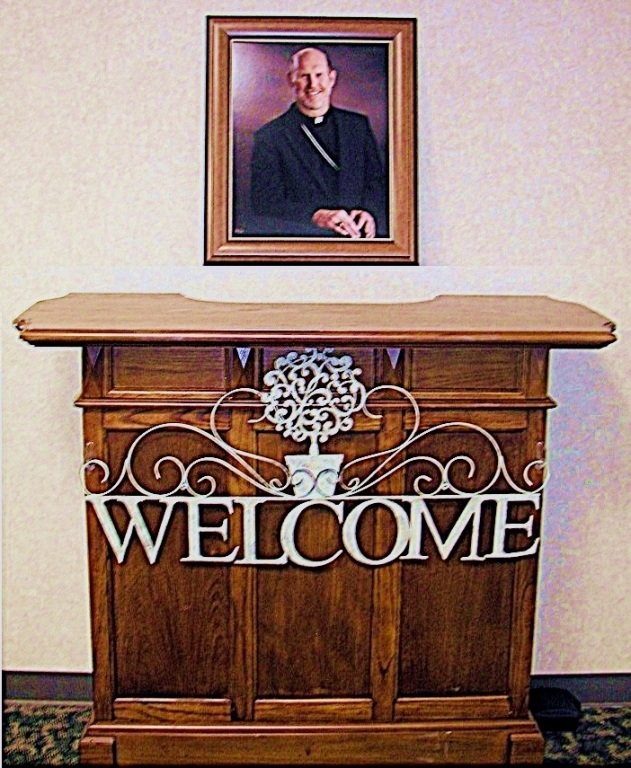 Welcome to St. John Vianney Catholic Church, a vibrant, caring parish of more than 1,900 families, serving the greater Bettendorf, Iowa community. We believe it is fitting that our patron saint—St. John Vianney—is the patron saint of priests and parish life, for we have a long tradition of sharing our time, talent, and treasure with each other and the community at large. Our church was formed in 1967, when then Bishop Gerald O'Keefe announced that a new parish would be formed for families living north of Middle Road. Our first pastor, Father John McGrath, was appointed on September 7th of that year. For two years, Sunday Mass was celebrated in the Bettendorf Middle School gymnasium; Holy Day Masses were celebrated at Bettendorf Presbyterian Church, Saint Peter's Episcopal Church, and Asbury Methodist Church. In September 1968, eight acres of farmland were purchased, and construction of the liturgical center began the following month. The first Mass in the new building was celebrated November 27, 1969. At that time there was permanent seating for 220 parishioners. Today, after several renovations and expansions, we are the largest parish in the Diocese of Davenport. With a warm and welcoming atmosphere to celebrate our Catholic faith, we are known for alive and prayerful liturgies that are strengthened by our abundant music ministry. We are committed firmly to our religious education and youth ministry programs; and offer additional spiritual nourishment through a variety of ministries, appealing to parishioners of all ages. Enjoy paging through our website to learn more about the life of our parish. We welcome you to join our parish family for liturgy, prayer, ministry, and community. Please contact the parish office at (563) 332-7910 to become a member of St. John Vianney Church. Or, you may download and print the registration form via the link on this page; email it to office@sjvbett.org or bring it to the parish office to begin the process.